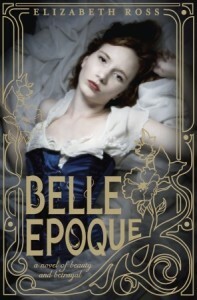 Elizabeth Ross has created a delicious world in her debut young-adult novel Belle Epoque. This graceful, character-driven book is among my favorite YAs of the year. Here Elizabeth talks about her inspiration for the novel, the Jane Eyre connection, among other things. Read on! 1. Belle Epoque is based on Emile Zola’s short story “Les Repoussoirs.” What was it about the story that grabbed your imagination? Zola’s short story focused on the creation of an agency of ugly women and the idea of such a place was both horrifying and fascinating to me. Although written in the 1860’s, the story felt so modern and immediately relatable to our beauty-obsessed world. Being paid as a beauty foil, to basically flaunt your flaws seemed like such a rich source of conflict. How would it affect your self-esteem, your relationships and your outlook on the world? It was the desire to answer all of these questions which prompted me to write the novel. 2. When I read the book, I couldn’t help but think of Jane Eyre, which is a book I adore and assume you do too. What is it about a woman/girl alone in the world that’s so compelling? Yes, I love Jane Eyre too and it was definitely a source of inspiration for my novel. Jane Eyre inhabits a very cruel world, yet manages to maintain her integrity and sense of self – I think that’s what makes her such a compelling character. In Belle Epoque Maude is thrown into a world of beauty, but beneath the surface it’s incredibly ugly. In the story she’s forced to find her voice and define what beauty truly means for her. I’ve always been attracted to characters who are invisible or who we underestimate. Making them visible and seeing them triumph is extremely satisfying. 3. All the characters and relationships in the book are vividly drawn. Apart from Maude, who was your favorite character to write and why? I admire Isabelle and it was fun to write a character that defies expectations – she starts out like such a brat! I also enjoyed writing Durandeau and the Countess as it was fun to be wicked. But I have to say, apart from Maude, I’m most fond of Marie-Josée. She arrived fully formed and confident on the page, she would surprise me with her force of personality, as well as those moments of humanity and tenderness. 4. One of the thrills of writing are the organic discoveries we make in the writing process that can crack open characters or storylines. Can you tell us what a couple of your thrills were in writing the book? When I was deciding exactly what year to set the book I did a lot of research into the period. (I knew from the outset it had to be around the turn of the century during la belle époque but not the exact date). When I began to read more about the Eiffel tower, and how it was considered to be a monstrosity by the people of Paris, I knew that I had stumbled across the perfect metaphor for my character, Maude. So I set the book during the tower’s construction for the Exposition Universelle. 5. Does your work as a film editor help your fiction? Definitely. It’s often said that a film is written three times: once in the script, the second time during shooting and the last rewrite is the editing stage. As a film editor I use sound and image to create story, and with fiction the only difference is that the images are in my imagination, not on screen. The wonderful thing about writing fiction is that if the footage isn’t working, you just recreate it, whereas with film you have to make a story work with the footage you have. Then again you always have somewhere to start – there’s never a blank page in film editing! 6. If I were to wave my wand and bestow with you two qualities/gifts/talents from writers, living or dead, what would you want and why? I’d love to be able to craft the perfect sentence – that’s an art form. I’d also love to be able to spin the kind of story that leaves you heartbroken that it’s over, you know when you read the last page and somehow feel bereft that you’ve left that world. That’s how I feel when I read a treasured book and if I could make one person feel that way after reading my book, I would know I had succeeded. Elizabeth Ross studied French and film studies at university in Scotland. She lives in Los Angeles, California, where, when she isn’t writing, she edits feature films. 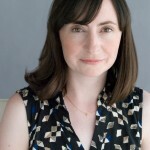 You can visit her at www.elizabethrossbooks.com and follow her on twitter @RossElizabeth.